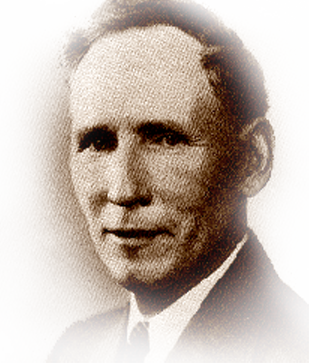 John Knox Johnston was the founder of ITPA at Winona Lake, Indiana in 1920. He secured 74 members to associate together to promote personal friendship and close fellowship for which ITPA has become known. He served as secretary-treasurer and executive officer. 1920-1945. The Indiana State Chapter of the association is named in his honor. ITPA awarded him a silver plaque on its silver anniversary, his 78th birthday. Between 1897 and 1914, he organized and managed telephone companies at Port Clinton, Rush Sylvania, New Philadelphia and Sandusky, Ohio; Lexington Kentucky and Elkhart, Indiana. He rebuilt a plant destroyed by fire at Hot Springs, Arkansas, and he purchases and rebuilt Home Telephone Company, Crawfordsville, Indiana. After 1914, he went into business for himself, appraising Independent properties and handling rate cases (appraised some 700 telephone systems in 19 states). He was awarded honorary membership in USITA. In true Pioneer spirit, he kept abreast of Independent telephony’s progress until his death in 1960 at age 93.